A quick review for those who may be new to our community: Mainstream magazines get the vast majority of their income from advertising, not magazine sales. That means that the $3.99 you pay at the newsstand for a copy of, say, Cosmopolitan, just about covers the costs of distribution, and doesn’t go back to the publisher, whose bills have already been paid by advertising revenue. (Copies that don’t get sold are actually of so little value that they are normally destroyed, rather than returned.) In the end, the magazine becomes financially beholden to advertisers and must cater to their interests, not necessarily to the readers’. At Works That Work we wanted to do things differently, so we looked for a way to cut out the middle men and build the most direct connection to our readers. We called it Social Distribution, and in the original plan, readers would pick up copies from our magazine hub, bring them to their local bookstores, and get paid for their efforts. Money from magazine sales would support readers and bookstores rather than some invisible intermediaries. This video from 2013 presents the idea. We managed to bring the magazines to dozens of stores in this way, but we also noticed that in some parts of the world, bookstores refused to cooperate with informal distributors due to exclusive deals with distribution chains. So we made Social Distribution even more direct, publisher to reader, bringing the magazine to communities rather than to bookstores. Many of the communities we supply are schools, but there are also creative centres, cafes and companies, even groups of friends who pool their money to get a box of magazines and share it amongst themselves. The deal is simple. When readers order 7 or more copies, they get them for half price, receiving the discount normally reserved for the distributor. In 2013 we distributed over 40% of our print run via Social Distribution, since 2014, it’s been about 30%, (but the print run has also increased). 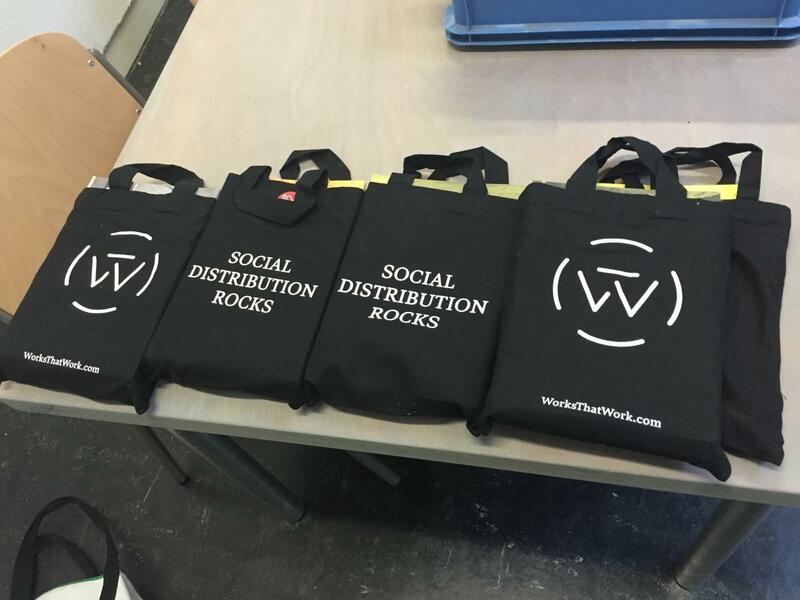 To help things along we designed those black bags you may recognise. They hold 10 copies of the magazine, weigh just 2kg, and are very easy to travel with. And speaking of travel, our site also features a database where readers can sign up to help deliver WTW. Log in and enter your destination, your travel dates and the amount of free space in your luggage. If your travel plans coincide with our delivery needs, you can help reduce the cost of shipping the magazine, making it more affordable for everyone, and you’ll get a free copy of the latest issue as a thank-you. Join in to make it work. This innovative method of distribution has worked wonders. We’ve managed to get the magazine to places which would rarely receive publications such as ours, including South America (Argentina, Chile, Brazil), Asia (India, China, Singapore, Malaysia, Thailand) and the Middle East (Egypt, Lebanon, the UAE). One of our proudest achievements has been to bring it to Iran, a country still under international sanctions. 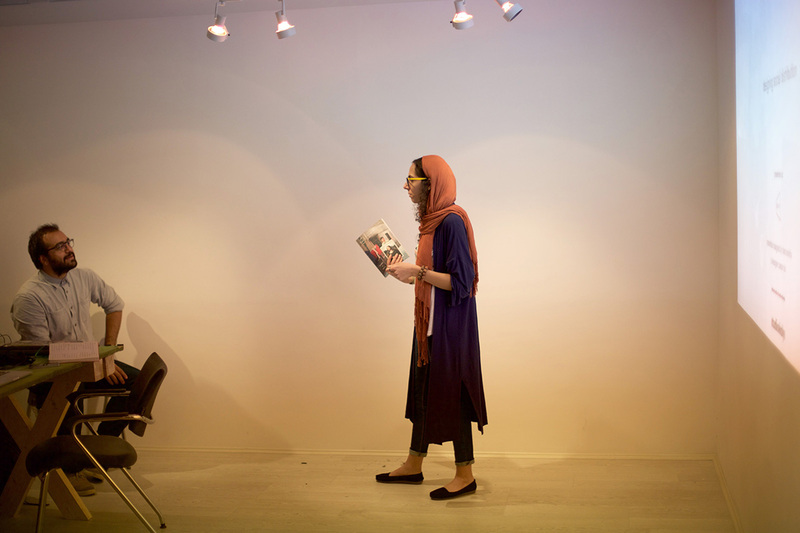 It required months of diligent planning, but our reader Hoora organised a magazine event in Teheran, presenting the magazine and the idea of social distribution to the local public. These kinds of connections are invaluable, and we love to support communities worldwide with Skype presentations, printed material, and face-to-face human interaction. 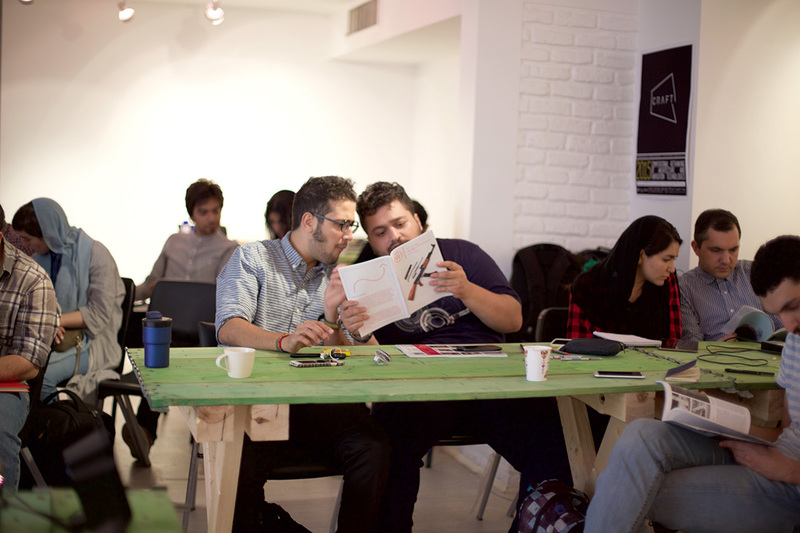 WTW presentation in Teheran by Studio Koly, organised by Teheran Craft 2015. Other highlights have been less dramatic but equally rewarding. 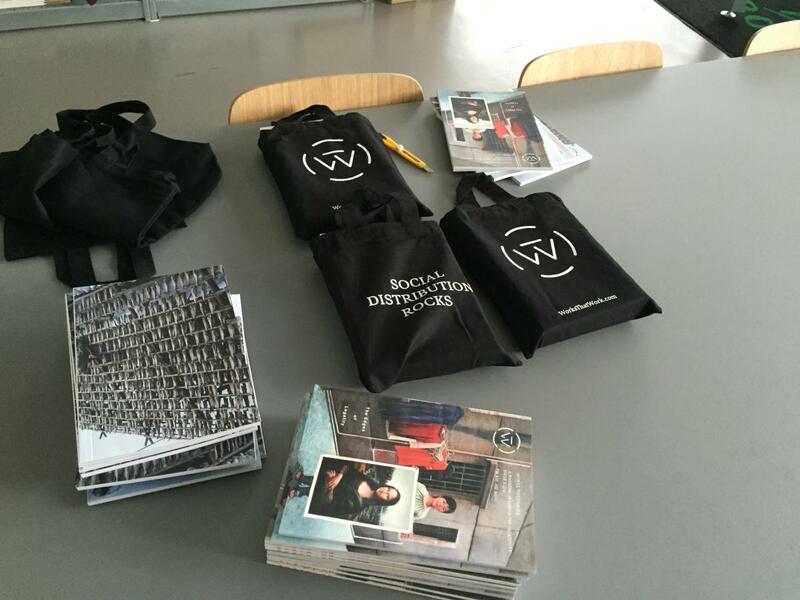 We’ve built very good relationships with schools like RISD (Rhode Island School of Design), where individual students have been organising shipments of boxes of magazines, collecting money, placing orders and distributing copies. Special thanks to thanks Alice Taranto, who organised the first couple of shipments, and to Elizabeth Goodspeed, who took over after Alice graduated. 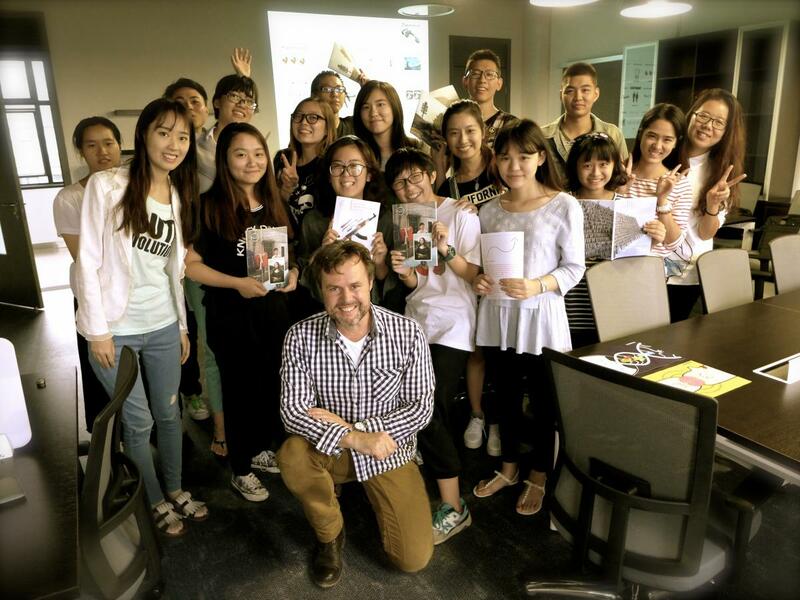 In a similar fashion, we brought magazines to other schools too: College for Creative Studies, Detroit; Parsons School of Design, New York; the London College of Communication; Otis College of Art & Design, Los Angeles; Artez Arnhem and Shanghai Second Polytechnic University. We’ve also worked with grassroots non-profit organization such as Design Talks Institute in Calgary, or Stanica in Slovakia. It is not just schools though. 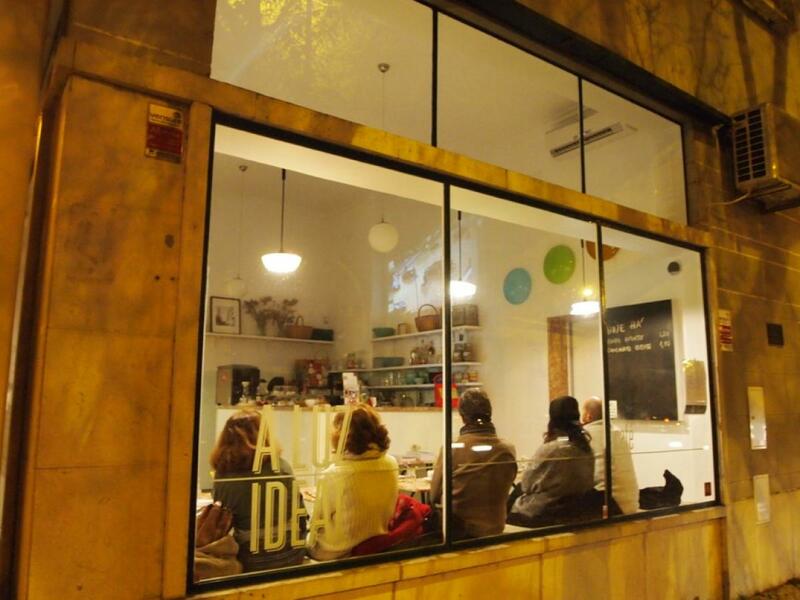 WTW is also featured at private events in cafés such as those organised by Bebel Abreu in São Paulo or by Pedro Monteiro in Lisbon (at his café A Luz Ideal), or by our readers’ club in Madrid, which meets in various places for a drink and discussion of the magazine. Even companies take part in Social Distribution, sometimes small offices getting copies for friends and colleagues, sometimes big ones: our friends at Facebook buy issues of WTW for their Analog Lab members, and Google buys it for their design department. The distribution is as varied as the readers, and we appreciate the opportunity to bring the magazine directly to you and get your feedback about the magazine. 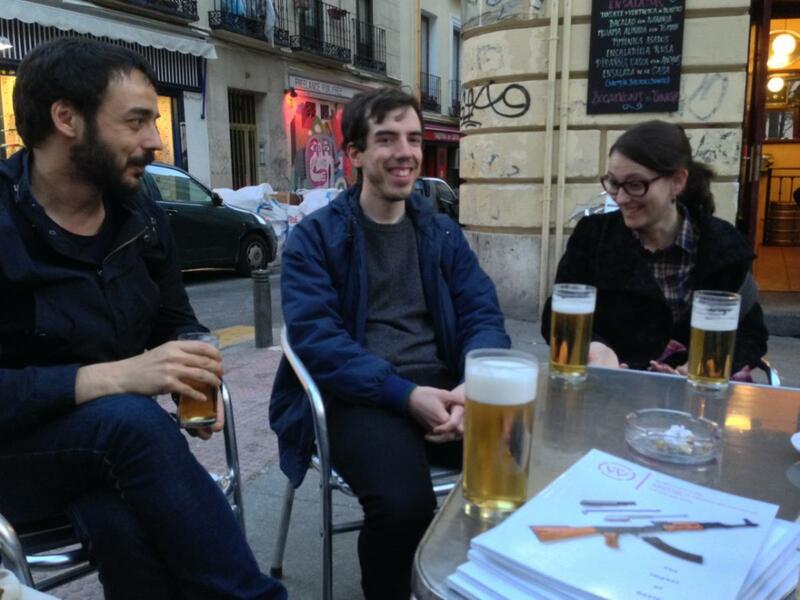 If you are interested in bringing the magazine to your community, please don’t hesitate to get in touch. Now that the new issue is out, it’s the perfect time.